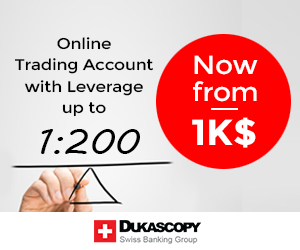 Currently the most popular forex broker among banks is Dukascopy. Company: Dukascopy Trading Technologies Corp. Note: Dukascopy Bank SA (In Switzerland) is regulated by the Swiss Financial Market Supervisory Authority FINMA both as a bank and a securities dealer. Dukascopy Europe(in Latvia) is not regulated as a bank or a securities dealer and is not regulated by FINMA.